Most of the airlines today are unveiling their plans to undertake enterprise wide transformation initiatives aimed at having data at the center of the organization. Digitalization is process transformer. Every process that touches communication, relationships or transactions are potentially changing due to digital technology. 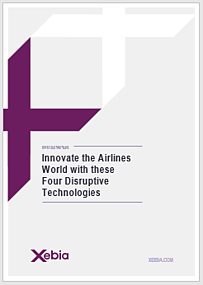 Download this whitepaper and learn how you can combine and implement the four disruptive technologies in order to innovate your airline organization.